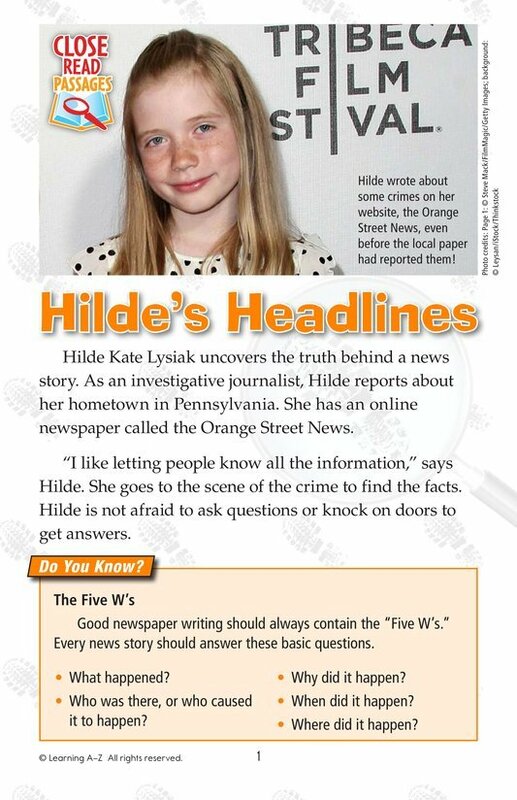 Hilde Kate Lysiak is a nine year old journalist. She covers news in her hometown in Pennsylvania on her website, the Orange Street News. She is able to find out things other journalists can't because the locals trust her to tell the truth. 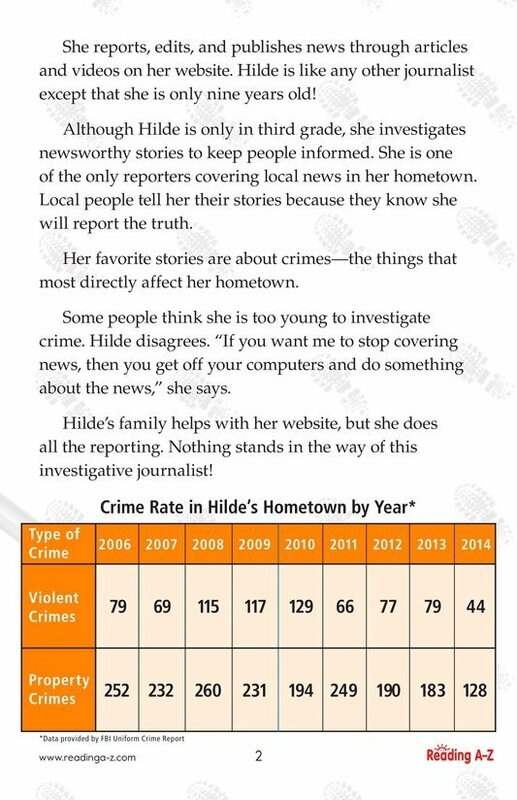 Hilde is not afraid to cover the big stories, but some people think she is too young to be covering violent crime. Hilde, however, strongly disagrees. Nothing, it seems, will keep Hilde from telling the real story.